B2B marketers love webinars. A proven lead gen tactic, webinars bring SQLs and are easy to measure. With the right metrics, you can tell precisely if the topic resonated with your audience; whether the content and speakers were engaging enough for people to stay; and with closed-loop reporting, exactly how many leads and at what cost the webinar delivered. Webinars are also flexible and work across the full customer journey -- from brand awareness to conversion. If you're unsure whether webinars can actually convert viewers into buyers, here’s a curious stat from eMarketer: When making a purchase decision, 40% of B2B buyers don’t care if the information is coming from a vendor or not as long as they think it sounds credible. But to get the best ROI from your lead generation webinar, you need to track the right metrics. Here’re 7 questions to ask to help you measure webinar success. 1. How many people registered for your webinar out of those who visited the registration page? Tracking conversion to registration will help you understand the effectiveness of your landing page. If the conversion number is low, you may be targeting the wrong demographics. There’re many reasons why your landing page doesn’t convert, but often it comes down to the most simple of all: Are you asking too much from a registration field? 2. How many of those who registered came to the webinar? Similar to conversion to registration, the attendee ratio metric can help track interest in the topic and measure the relevance of your content to the target audience. 3. How useful is the webinar content? With exit surveys, you can measure the level of engagement simply by asking what people thought of the webinar content. The most useful webinars share tips and strategies that are actionable and directly applicable to your work. At the end of the session, the attendees should feel that they have improved their skills. Developing such content requires a deep understanding of customer objectives and challenges. 4. Did you deliver on your promotional message? Retention rate is a good marker of how you’re delivering on the expectations set in your ad or email. Of course, the attendees expect quality, relevant content -- but also quality audio and streaming. People also want to listen to engaging speakers who keep the session fun and interactive with specific examples, stories, and Q&A. 5. Does your audience consider this webinar “must-see” content? Post-webinar, on-demand views show if people consider your content “must-see.” It’s one thing to get people to RSVP, another to make them actually show up for the live session, and a very different one to make them watch a 60-minute recording. If your webinar continues to deliver high-quality leads long after the live session, it means the content is relevant, useful, and well-aligned with your ICPs (ideal customer profile). Such evergreen content assets deliver great ROI. 6. How many SQLs did the webinar generate? Often touted as the ultimate webinar success metric, the number of SALs (sales accepted leads) or SQLs (sales qualified leads) shows marketing’s impact on increasing pipeline. As we mentioned previously, a successful webinar balances business results and delivering high-value content. A demo or some product feature show will help you get some very highly-qualified leads, but it won’t drive attendees. Bringing on a client, ideally, a well-known brand can help boost attendance and engagement for a webinar targeting lower-funnel buyers. To maximize sign-ups (thus increasing the % chance of getting high-quality SQLs) promote the webinar early, and often -- and don’t dismiss those who registered but didn’t attend. 7. How much did each webinar lead cost? Understanding the value of each lead generated by source helps marketers make smarter investments. To measure the value of your lead generation, find your average sale/revenue per customer and your conversion rate and your conversion rate by lead source. For example, if your average revenue per lead is $10,000, and 1% of leads from your webinar convert into paying customers, your average lead value is $100. 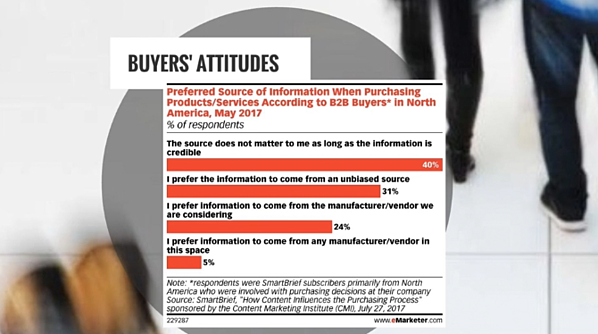 The complexity of B2B buyer’s journey can be a challenge for marketers trying to tie campaigns to incremental revenue. With closed-loop reporting software, you can fix B2B attribution and measure the real impact of your webinar campaigns on business results.